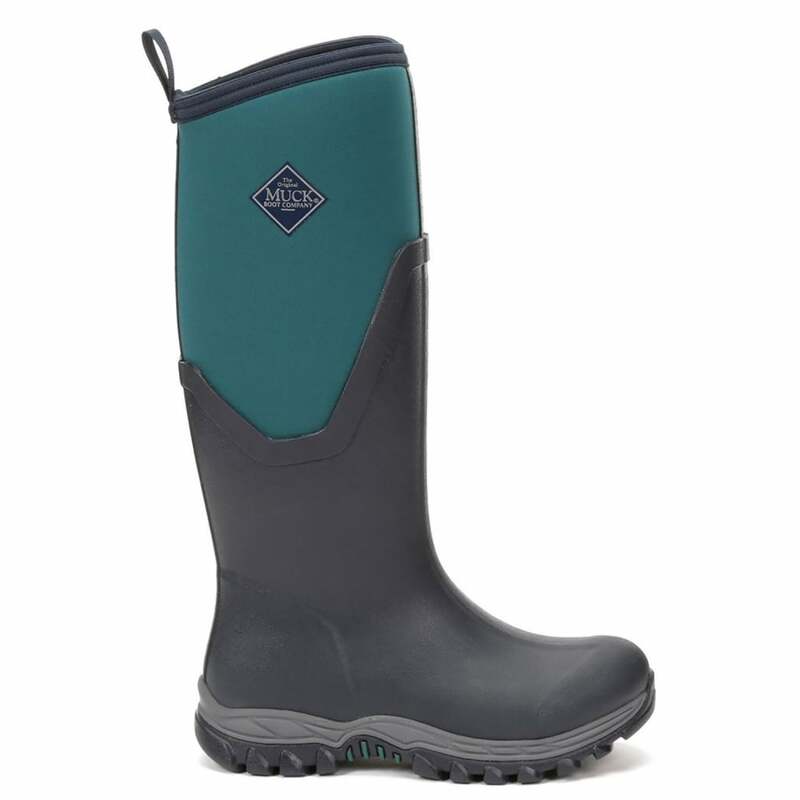 The Muck Boot Company Arctic Sport II Navy/Spruce, the warmest welly in the muckboot range! An upgraded version of the original Ladies Arctic Sport this boot is the warmest ladies wellington in the Muck Boot range. Made with 5mm CR Flex Foam lining and backed with a soft fleece liner the boots are warm in the coldest conditions but also have the ability to displace moisture if the feet become hot. The dual density footbed provides support to the foot during long periods of wearing, reducing fatigue and increasing comfort. This is combined with an aggressive tread on the outsole that is suited to both hard surfaces as well as soft, muddy conditions. Made on a ladies last this boot is practical for work yet is still elegant. An extremely popular addition to the Muck Boot range.